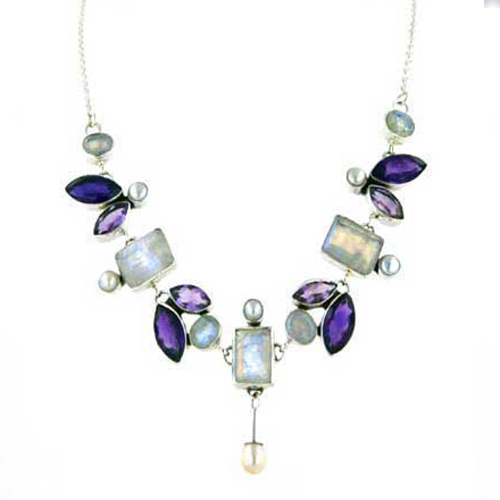 Rainbow moonstone, amethyst and pearl statement necklace. 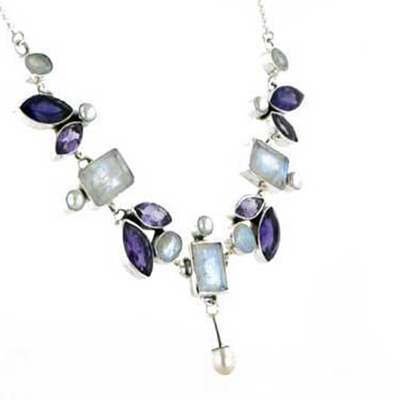 This spectacular hand made necklace combines favourite gemstones into a glamorous piece of jewellery. 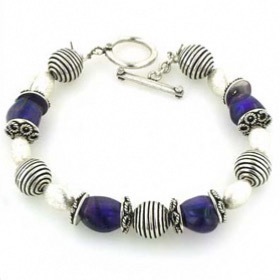 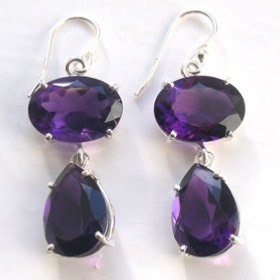 The moonstone and amethyst gemstones are large and faceted and the glowing colours complement each other. 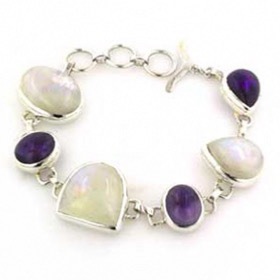 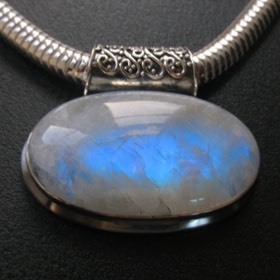 Rainbow moonstone glows with a characteristic violet blue colour, known as schiller, which looks fabulous against the purple amethysts. 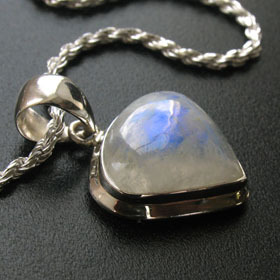 The pearl droplet (lab created) is a pretty finishing touch. 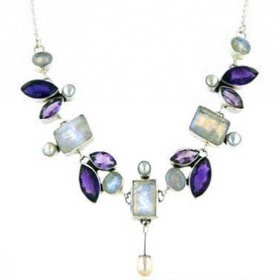 Steal the limelight with this statement necklace around your neck. 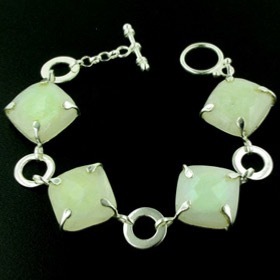 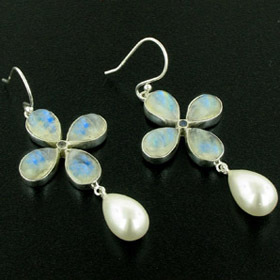 For coordinating earrings, see our collection of moonstone earrings or amethyst earrings.